My need to nest has been seriously delayed by our apartment hunting and packing to move, but I managed to squeeze out a few wonderful goodies for the nursery before I trade my gigantic studio space for a much, much smaller one. Even before I knew it was a boy, I knew wanted a light and airy magical woodland nursery where bears play banjos and mice are pirates. Luckily, what I wanted would have worked for either! 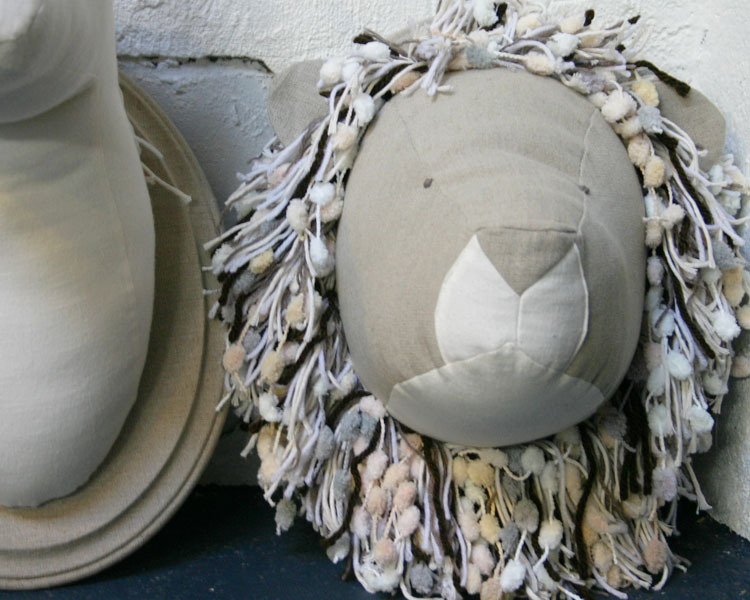 The lion’s mane is beautiful mess of various neutral toned yarn. I glued and wrapped a wooden plaque with the same linen for the mount. Here are a few things I made last week using the same technique I used to make the dragon stuffed animals for my nephews. If you start playing around with basic geometry in your patterning, you can make anything out of fabric! 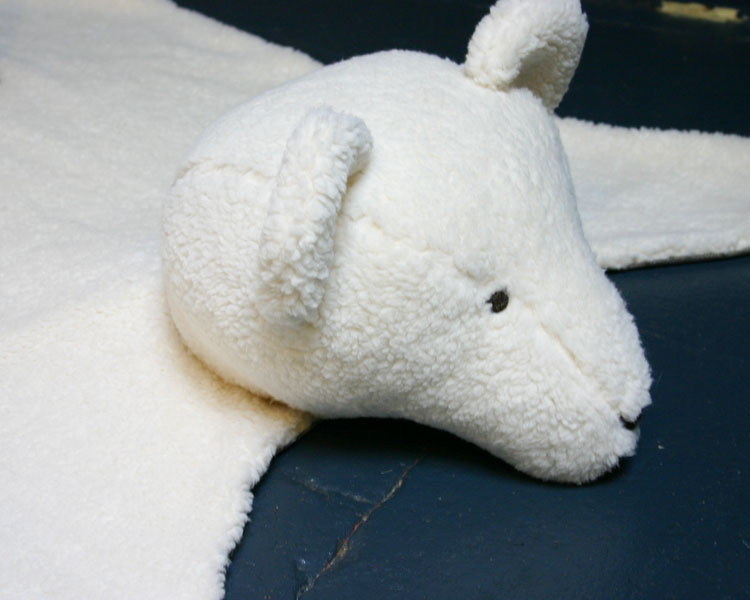 If you are terrible at patterning, you can also try searching online for free stuffed animal patterns and blowing them up in Photoshop or just looking at photos of the kind of stuffed creature you want to make and noting how many pattern pieces were used and sketching out what they might look like flat. Nothing has to be perfect the first time around if you are working in muslin first and you can always keep changing the pattern until it looks right. Once you have something good, be sure to transfer it to paper so you can keep it for future use! I used a polyester heavy duty sheepskin for this rug so it could stand the test of time and be easily steam cleaned with a small steam machine. I used vintage calico prints for the clouds to add some soft color. 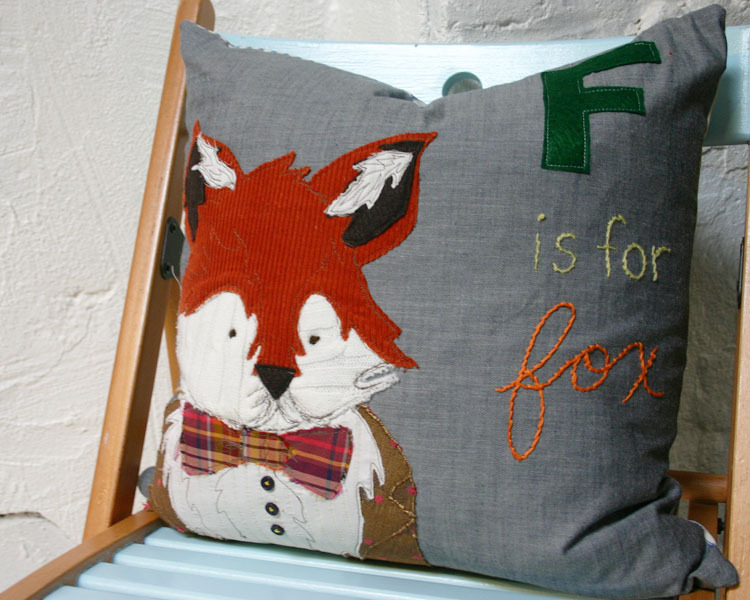 This dapper fox pillow has nothing to do with making stuffed animals…but isn’t it cute?! I made it for my glider! You’re so talented! Baby will be enjoying such beautiful space. How great (and stylish) would that be?! Hi! I love all your decor! Do you have a tutorial for the fox pillow? It is darling! I printed it somewhere between 200 and 300 percent larger and pieced the pages together to make a large teddy bear head pattern. After it was sewn and stuffed, I hand stitched it with upholstery thread to the “skin”! Hopefully that all makes sense! 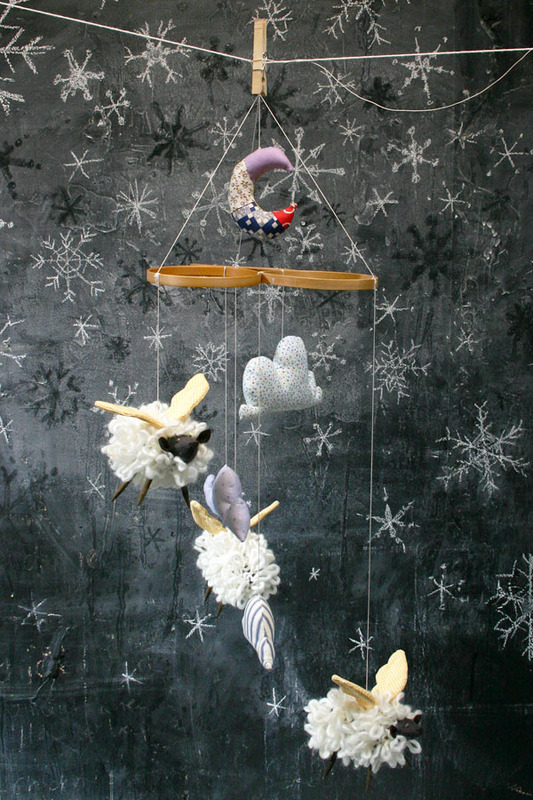 Those faux taxidermy animals are the most magical and beautiful things I have ever seen for a nursery!! What patterns did you use Martha? 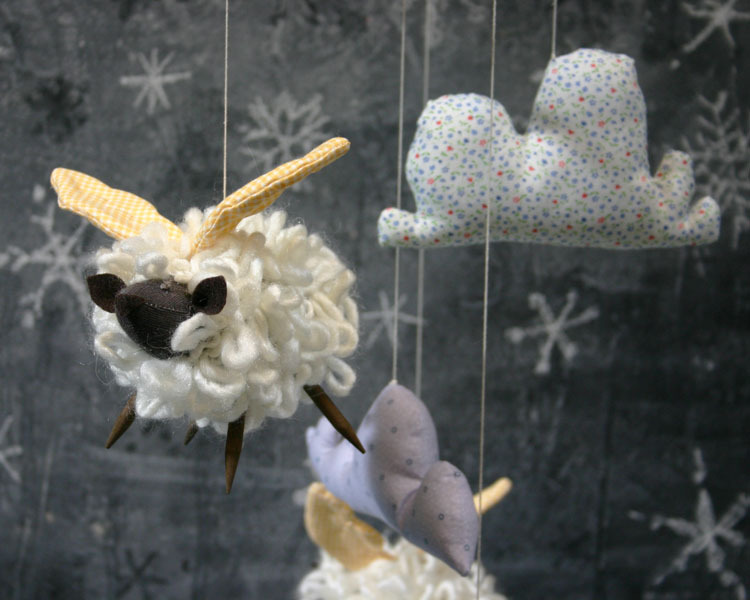 I would love to make these for my little one who will be making an appearance later in the year. Beautiful beautiful beautiful!!! ❤ You are one talented lady! Thank you for getting back to me. 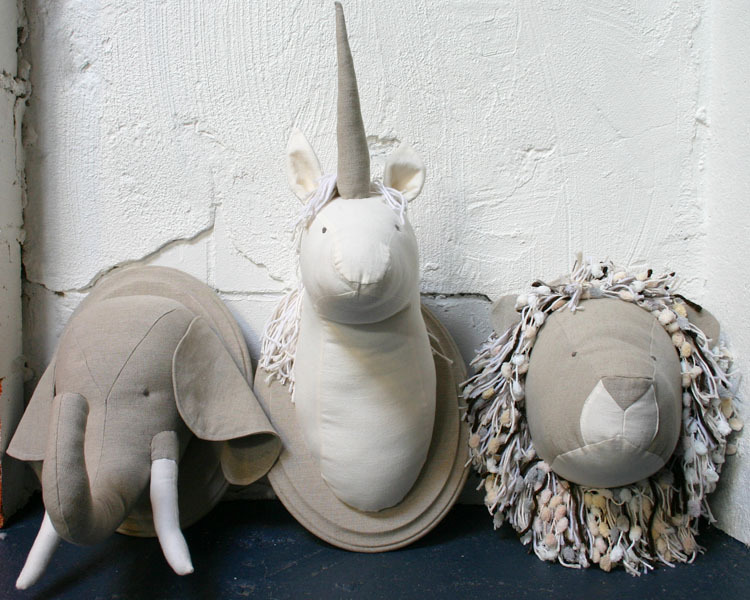 I am making fairly good progress on the sewing of the heads – I found the Unicorn particularly difficult! Next step is to get hold of some pine plaques. May I ask how you managed to secure the heads on the plaques? Also, how did you smooth the linen onto the bevels of the plaques? 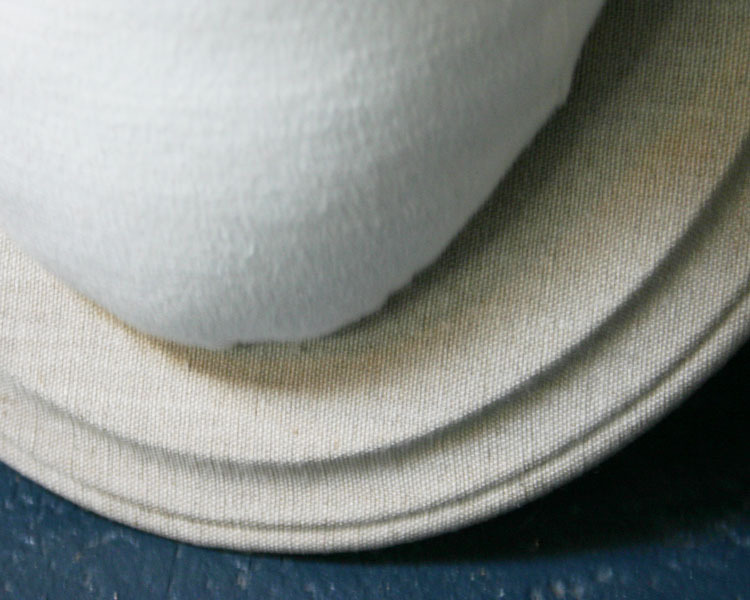 I have found sticking fabric on grooved edges notoriously difficult in the past. Thanks! Sure thing! For the plaques, I thinned out Aleene’s tacky glue a bit and brushed it onto the center of the plaque and smoothed my fabric onto it. Starting from that center area and working my way out, I would brush the glue and smooth the fabric down, waiting for it to mostly dry before moving on. I used straight Aleene’s for the grooves because it seemed to help the fabric grab on better. I used just enough glue to get the linen to bind to the wood but not seep through the fabric. It definitely helped to work small sections at a time and treat each little groove in steps rather than trying to tackle the whole edge at once. As far as attaching the heads to the plaque…I’m embarrassed to say that I actually used hot glue! A LOT OF HOT GLUE. I had finished off the heads in the back with linen and had planned on stitching them onto the linen for the plaque, but at the last minute I decided it would be a disaster trying to cover the wood plaque with a giant head in the way! In hindsight, I would have drilled holes in the wood so I could use a heavy waxed thread to stitch them to the plaques. Let me know if you come up with a better way to do this step! 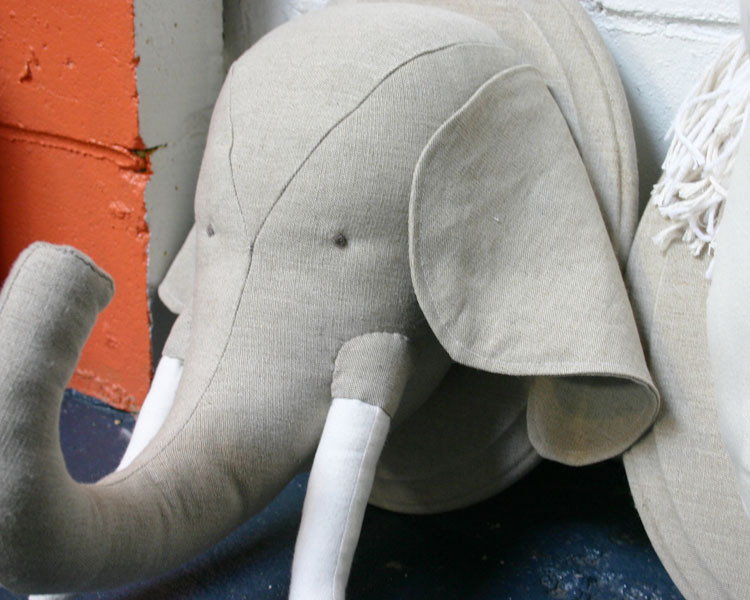 Hi There, Is there anyway I can pay you to make an elephant head for my son’s room? Your design is perfect and exactly the right color and style- please email me directly. Fonally getting round to saying thanks for your responses Delia! I made a unicorn, elephant and lion for what is now my Son’s room and am delighted with how they turned out! Definitely a less polished than yours but sweet nonetheless. Everyone who sees them comments on how amazing they are so thank you for all of the tips! I even dressed them up with accessories (party hats and a scarf) to give so,e pops of colour. Wish I could share pics (no option to do so here I guess) to show how you inspired me but hope my words convey this well enough! Yay!! I’m sure they are adorable! We put George’s birthday crown on the elephant and I have to agree… accessories are so cute on them! I want that fox pillow!!! So cute! 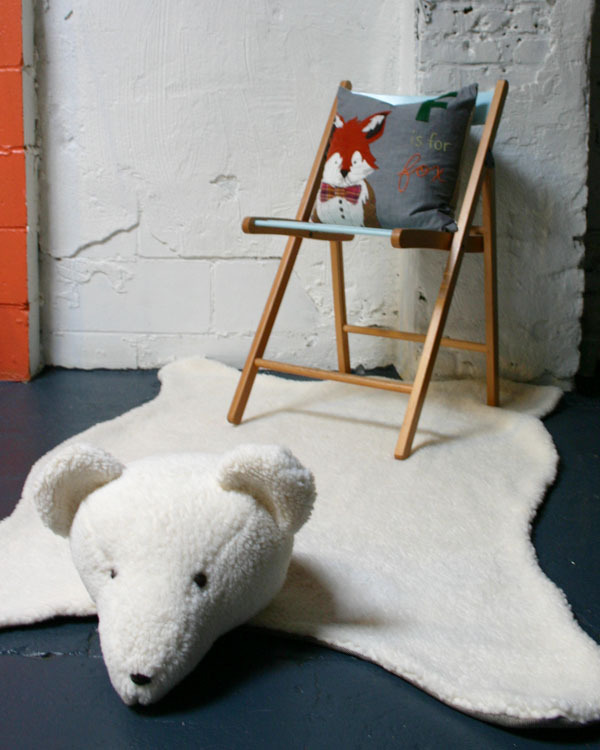 Do you sell a pattern for your bear skin rug ? ?